Beer Pong is a sport in which opposing players attempt to toss table tennis balls into each others cups. When cups are hit the other team has to remove the cup and drink the beverage in the cup. The team that has cups remaining wins the game of beer pong. Rumor has it that beer pong was created during the early 1980's at Dartmouth College, where paddles were used to hit balls into cups full of beer. Beer pong players worldwide are forever grateful for these founders of beer pong. The game then morphed, leaving the paddles behind in the institutions of Bucknell University, Leigh University, and Lafayette College. Both versions (paddle-less beer pong, and beer pong with paddles) still exist today. Based on where you live you may refer to beer pong as "Beirut" as there was a Lebanese Civil War during the time of invention going on in the city of Beirut. Additional names include "Pong A Long" or "Ruit". Beer Pong is usually played with 10 or 6 cups that are formed in a triangle formation. Cups should be plastic 16 oz. cups, and 1 rinse cup should be on the table so that players can rinse their balls off in the cup. A "re-rack" can occur when there are 6-4-2 cups left on the table. Regulation beer pong tables are 7' to 8' in length, and 29" to 33" in height. 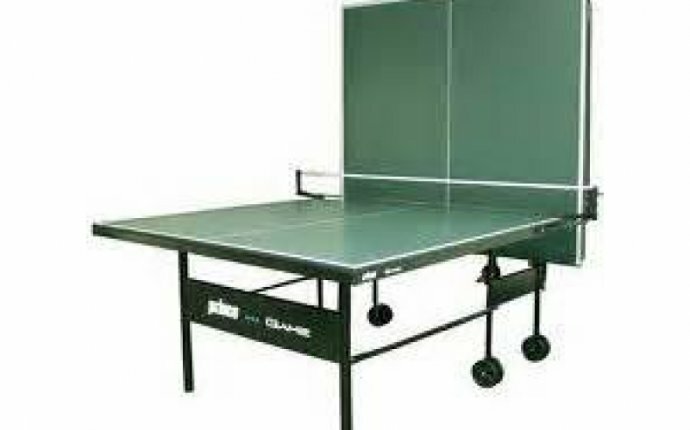 Tables should be constructed from material that allows balls to bounce, and should be at least 2’ in width. For more beer pong specifications please see our page dedicated to table specs. This term describes the method in which balls are returned to a team after they make two consecutive cups. When a team hits a cup on each of their turns, many players allow for rollbacks, as your team just sunk two cups in a row.